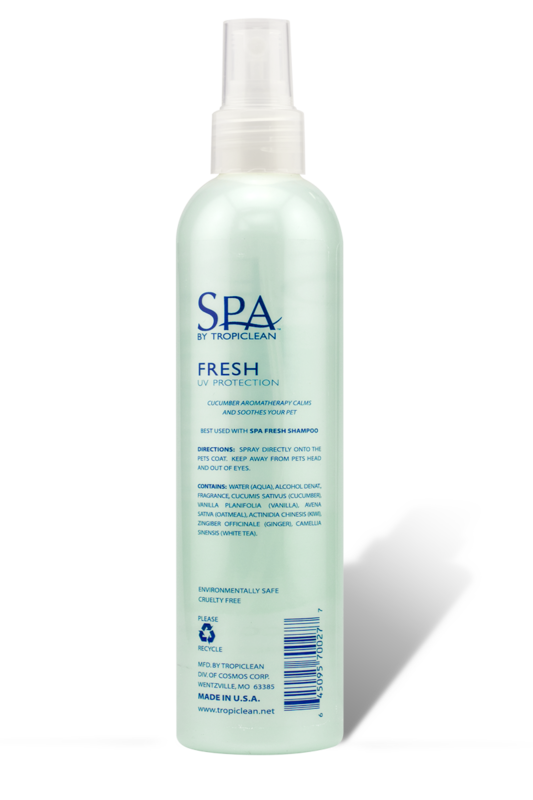 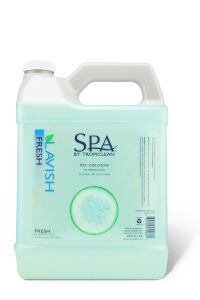 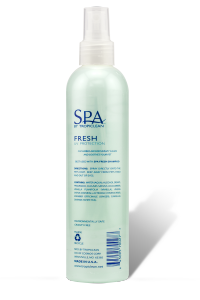 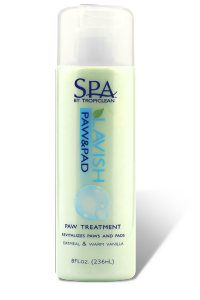 Keep your pet smelling fresh with more from the SPA by TropiClean line. 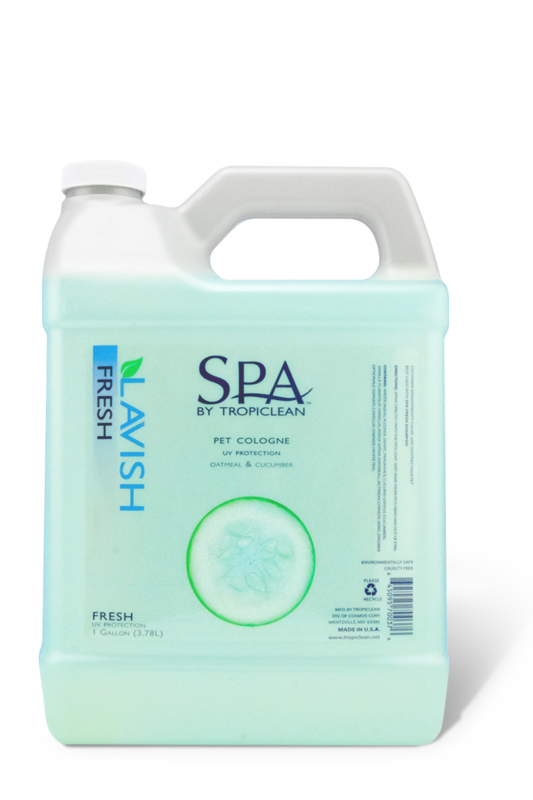 Spray directly onto the pet’s coat. 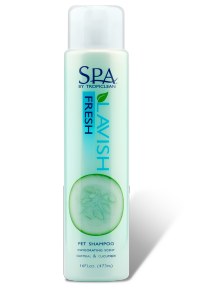 Keep away from pet’s head and out of eyes.